Mixing a segment-straddling starting price of just over $35,000 with premium-level amenities including an available Nappa leather upgrade, the 2014 Kia Cadenza large sedan is a new expression of the automaker's feature-driven value offering. This car accelerates very quickly and stops quickly. I love how it drives. Steers easily, accelerates quickly, and will stop quickly if needed. The seats are very comfortable and I especially love the stereo that is in the car. It looks good also. It has a nice bronze brown color that really gives it a classy sedan look. The sunroof is awesome as it opens in the front and back seats. Price was very reasonable. If you take regular long rides, this car is worth it, but don't depend on navigation system. My vehicle is great, has back up camera and all the technology that is needed to stay safe. I bought it because it was ranked high on safety as I have two kids and it has not let me down. It is extremely comfortable and roomy. I am 6'7" and I can sit in the back seat comfortably with head room. 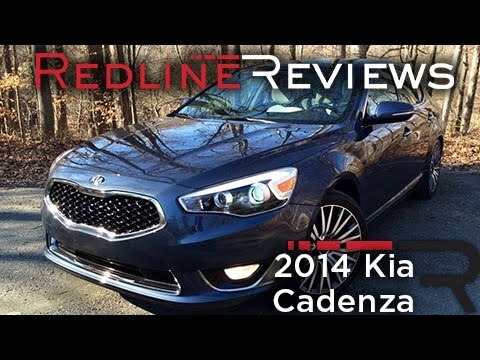 Kia Motors Corporation (Kia) is recalling certain model year 2014 Cadenza vehicles manufactured February 1, 2013, through August 27, 2013, and equipped with 19" non-chrome aluminum wheels. The wheels on the affected vehicles may fracture from impacts such as large, deep potholes. A wheel fracture could cause the circular rim to separate, resulting in a loss of tire pressure, increasing the risk of a crash. Kia will notify owners, and dealers will replace the wheels with new wheels, free of charge. The recall began in June 2014. Owners may contact Kia customer service at 1-800-333-4542. Kia's number for this recall is SC107.